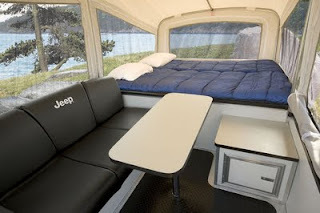 Hendrick Chrysler Jeep: The New 2011 Jeep Camper. Experience the new extreme addition to the Jeep family. 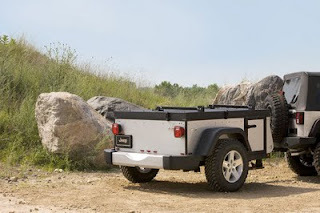 This 850 pound, 49.5 inch high camper can sleep up to four with its comfortable queen size matress. Its 32-inch BF Goodrich Mud Terrain tires has 12 inches of ground clearance and is perfect for off roading. You can step it up a notch with the Jeep Extreme Trail Edition Camper. Being a little heaver, at about 1,050 pounds and 35 inch Mud Terrain tires with 15 inch clearance, it also has a full underbody skid plate and black diamond plate aluminum fenders. Both come in a variety of different colors and a plethora of accessories. 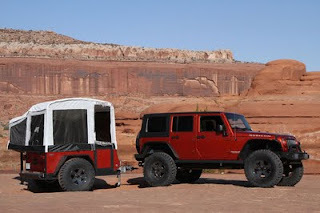 Are you ready for the JEEP RIDE??!?! ?